The Galway Mirror was named for its graceful style and beauty. 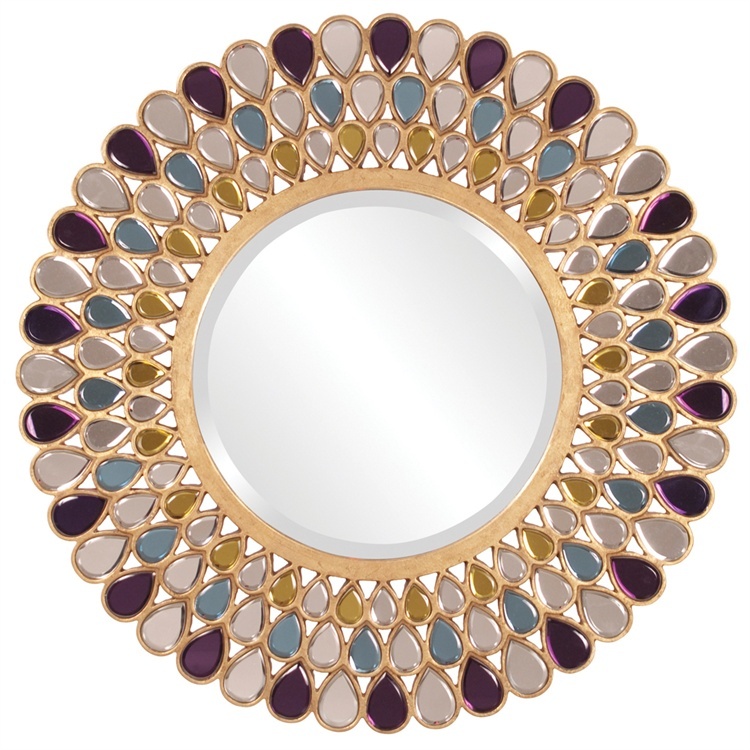 The round frame is composed of graduating rows of tear shaped glass gems in hues of amethyst purple, amber gold, topaz blue and clear. All is then trimmed in bright gold borders enhancing the vivid colors of the piece. It is a perfect focal point for any design. The main mirror is beveled adding to its style and beauty. Customizable for larger orders.